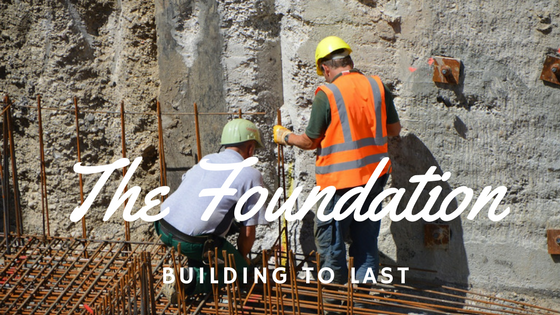 The most important part of any building, ministry or individual is its foundation. Though unseen, a foundation is powerful and strategic. In a structure of any kind, if something is off-base or askew there is a problem in the foundation. Foundations are critical! They are unseen, yet their impact is clearly visible. Where is your foundation? Is it level? Secure? Since earliest times, the foundation of faith is the writing of Moses: Genesis, Exodus, Leviticus, Numbers and Deuteronomy. These writing were not just read or studied, they were memorized and absorbed. Why? Here that we learn the character and the ways of God. It is in these books that we come to “hear” the heart of God and know how He speaks. When we have the foundation of God’s word, we are able to discern what we hear. Everything God speaks will be laid upon the foundation of scripture. It will align to His character perfectly. God originally spoke to Samuel in an audible voice. Jesus is the Foundation Who has always been! Faith in Christ is a Foundation so secure circumstance cannot shake those whose lives are built upon that Stone! “So now you Gentiles are no longer strangers and foreigners. You are citizens along with all of God’s holy people. You are members of God’s family. built on the foundation of the apostles and the prophets. The purpose of apostles and prophets is to build and strengthen the church of Christ. Their work is to build upon the Foundation of The Word, Jesus Himself. To daily come to God with open bible asking Him to speak and reveal His character is a healthy practise for every believer. He still speaks; He is just waiting for us to listen. In the margins of my bible are verses that seemed to speak directly to me or some circumstance I was facing. I pencilled in the date and a two-word reference to what was happening. Then when I read these verses, I can whisper a prayer of thanksgiving about how God has already responded. On my wall are key verses – verses that bring strength, encouragement, comfort, direction, or even correction. I also have written out prophetic prayers others have prayed over me. Here too, I have been able to add dates and specifics about how God has and is responding through these verses and prayers of others on my behalf. This is one practical example of being sure the Foundation is secure. I am continuing to build on the Foundation, Jesus Christ. the unfaltering Word of God. Want more to read? Try this! ← Beatitudes – Encouragement and Instruction for Every Circumstance!